Thank you for your interest in St. Tammany Parish, aka Louisiana’s Northshore. We are a vibrant destination with memorable food, eclectic towns, beautiful green spaces, family-friendly attractions – and many stories worth telling. 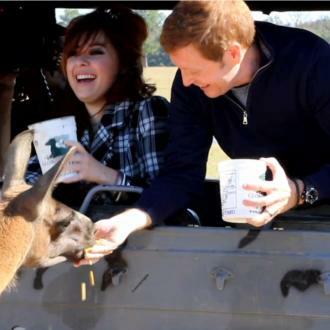 The St. Tammany Parish Tourist & Convention Commission is happy to provide media assistance, including information, images, story ideas, and customized itineraries. Hosting may also be available to credentialed travel media with assignments. For assistance, please contact Renée Kientz, VP Communications & PR. Click here or email renee@louisiananorthshore.com. To contact us by phone, call 1-800-634-9443 or (985) 892-0520. 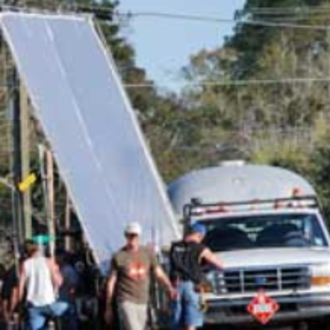 Let the film commission can help with scouting, permits, workforce, and more. 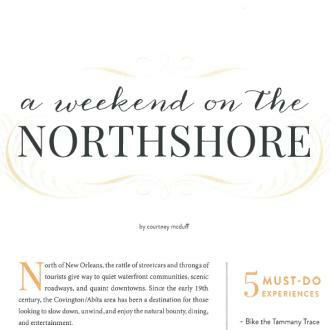 See the Northshore in the news, from Louisiana Cookin' to Travel & Leisure.